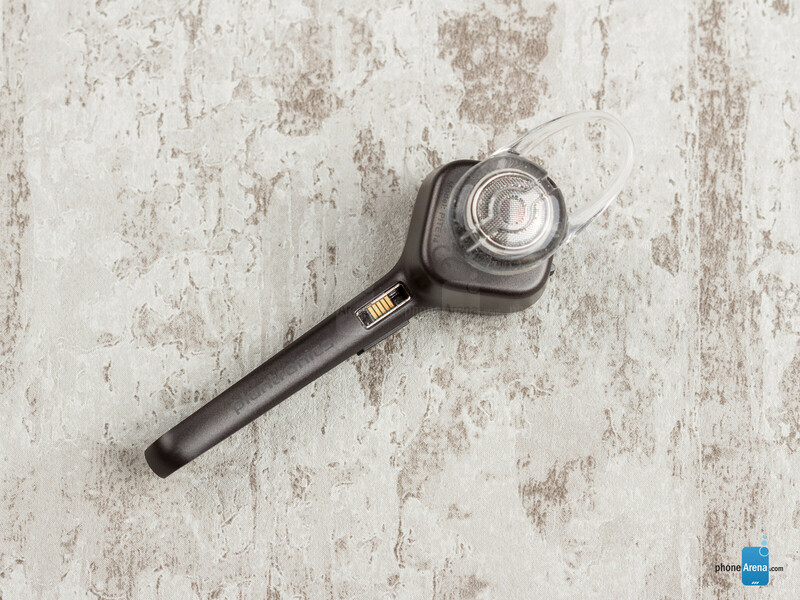 The Voyager Edge is a the latest premium Bluetooth headset in Plantronics line-up. At $129.99, it is not affordable, but the Santa Cruz-based company went out of its way with the design and extra perks that come with it. The end result is a high-class, but also stylish Bluetooth headset. 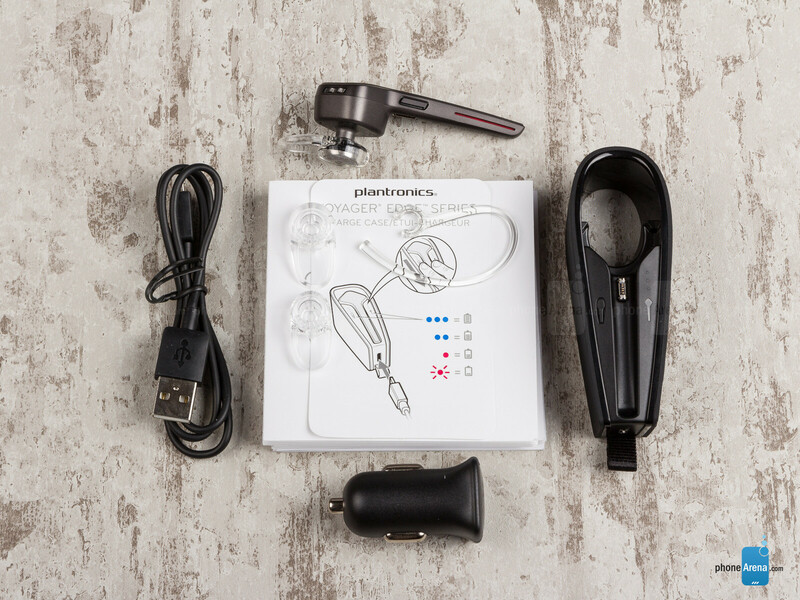 So how much is $130 worth to Plantronics, and what exactly will that get you? Let's find out. If your line of work requires the use of a Bluetooth headset, but you're also looking for something a bit fancier, then the Voyager Edge should be among your first stops. The sleek, but compact, accessory is beautifully-designed, and comes in three color options: black, white, and grey. At 9 grams, the headset is fairly lightweight and also comfortable – we often forget that we have it on after a while. Very helpful with that are the silicone eartips, as they are both comfortable and provide a reliable grip. The exterior, treated to a nano coating, is water resistant, so use in rainy weather is of little concern. The construction of the piece is also commendable – it's plastic, obviously, but that's not at all detrimental to perceived quality. The Voyager Edge makes room for 4 functionally different buttons – a volume rocker, an on/off slider switch, a key to access voice commands, and a separate 'Answer' button that seemingly spans the entire length of the microphone. We're happy to report that all four of these are pronounced both in the cue they provide (you have to feel them out, after all), and also the amount of feedback you get. The same high level of craftsmanship and attention to detail has gone into the charging cradle. Shaped like a tear when looked at from above, it's got a premium-looking and feeling rubbery texture. 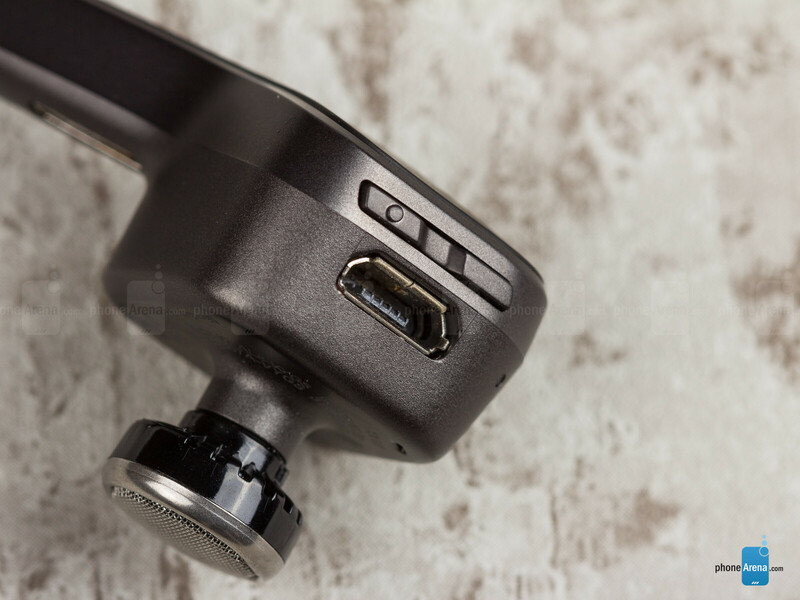 Snapping the Edge into it is easy, and we do like the fine touch with the touch-sensitive LED battery indicators. Also, thanks to its petite proportions, it can act as an on-the-go power bank, though it's certainly too bulky to wear in your pocket. And yet, if you do a lot of field work, the idea of 10 extra hours of talk time is likely too good to pass up (that's twice the talk time of the headset itself). 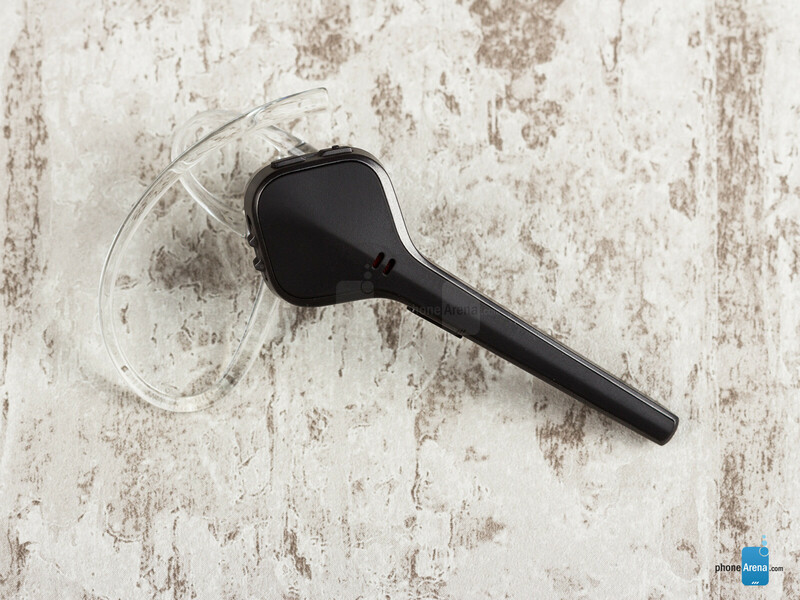 Looking around for a stylish but high performance bluetooth headset. Initially thought this Voyager Edge would be the ideal product but am now having second thoughts after reading this review? Anyone else tried it and agreed with the call quality? I'm willing to pay high end price (circa $150) for one and the only ones I have in mind is the new 2014 Jawbone Era or the Voyager Edge. Which do you think is better? Check out additional reviews by CNET or PC Magazine. I have used everything from the first Jabra in the States to all of the Jawbones, a couple of Plantronics and the Bose BT II. My third Jawbone Era was starting to act funny - as all the rest have seemed to do between 10 and 14 months of age - so I naturally considered the new Era. I have a consulting business that is done in large part over the phone and my cell is the phone. So, how I sound to the person on the other end of the line is of supreme importance. Short story: the Edge sounded better to my testers - one great client, two brothers and an 84 year-old mother - than either the New Era or the Bose II. On MY end, it doesn't sound as quite as good as the New Era and not really in the same league as the Bose. That is from both office and car. The fit is good. It doesn't feel as secure as either the Bose or the Era but it has not fallen out and it certainly isn't as fussy as the New Era about placement or, frankly, perspiration (I have found - with years of experience - that a sweaty face or a sweat-coated Jawbone Nub renders the thing nearly useless). I like the fact that the Edge announces caller name without me having to program it in and that I can answer or reject a call by simply saying "answer" or "reject" or just putting the thing into my ear. I really like having a volume rocker too - nothing much worse than asking someone to repeat what they just said because you were cycling your Jawbone's volume. 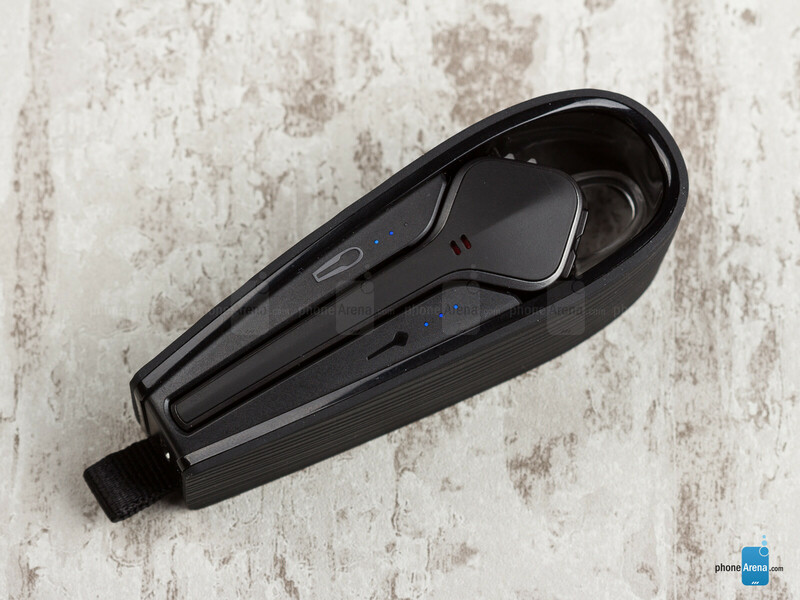 I also like the charge case...not just for it's extra storage of electrons but also because it protects the headset from betting crushed in a soft bag or in my jeans pocket. Downsides? I miss the Female British voice of my Era. The Plantronics voice is really overly synthesized - Plantronics should meet Cortana (the words and names Jen hasn't recorded yet). There are a lot of rings and beeps when a call connects but no audio cues when you are asked for a response - so the UI is a little inconsistent. You have to plug into the Plantronics Hub app to toggle A2DP on/off. Background noise isolation is good but not as good as the Jawbone - no surprise. But, I'm generally not calling from loud surroundings and my "testers" reported superior sound to the New Era from my office and my car. So, a couple of weeks in and I like it...a lot. i am in the same boat. i was liking this headset until i read this review. i need a nice headset and i am willing to spend for a quality unit. anybody have anything positive to say about the Voyager Edge? Given that the original Voyager Legend sits most of its body behind the ear and is comfortable with unequaled voice quality it's difficult to justify the additional expense of this new device. Thanks for being honest with the disclosure. At the end of the day when I'm comparing these products, I gotta be realistic with my expectation. Seems like the Voyager Edge is not designed to be an upgrade to the Legend but more so for the Discovery, hard to keep all those awesome functionality seen in the significantly bigger Legend in such a sleek and smaller size. Plus if they did, it would have killed the sales of both Discovery and Legend. Has any consumer actually used an Edge and wouldn't mind sharing the experience? My main concern is on call quality (both in and out) especially in noisy/windy situations, does it really hold up with the 3 microphones? I am a storage engineer and I spend a lot of time in Data Centers. There is a huge amount of back ground noise in these facilities and I have found that I have no problems at all with callers hearing me or me hearing them. Crystal clear sound and the fact that I can accept or ignore a call by voice command means that when I get a call at a moment when I dont have a free hand it won't be missed. Overall I am very pleased with this product. 5 stars. A bit pricey but you get what you pay for. Just an update to my opening post. I have decided to go with the Voyager Edge and have been using it for the past week with very satisfying results! The design is sleek and device is easy to use, pairs incredibly fast and most importantly sound has been amazing, with the exception of when I was in extremely windy outdoor situations (but then again, I doubt 3 microphones was going to help with that situation!) Overall very happy with it, can't really say if it's significantly better than the Jawbone Era since I haven't tried it, but I decided to steer clear of it after reading the amount of complaints on the Jawbone forum with people stating that even the old Era was significantly better than the new one. I am using the Voyager Edge and been using it for the past few weeks. Like georgew, the piece is almost invisible and I find myself forgetting its there. The pairing is instant as soon as I turn it on. I pair if with two phones and calls from both phones come through crystal clear. I was able to walk away over 20-30 metres in an office floor space without any major wall constructs blocking the reception and without any loss in reception and quality. Outdoor quality seems fine and everyone on the other end of the call (or teleconference) was able to hear me crystal clear. I'm extremely happy with it because I don't need to charge it except every other day or two and only charge the tear drop shaped base plugged into the USB port on my laptop. Charging time from empty to full took less than an hour from memory. Highly Recommended. Those who are thinking to buy this product - Just go ahead and buy...dont think too much. I am using this headset and it does good job. I am from India (Mumbai) where crowed is like hell. I have used this headset even in extreme condition and it works fine. I had to concentrate in there but it worked out for me. secondly this is not a replacement of legend or discovery..no company does that. Having said that no company will try to give you everything in a single piece to end thier sell. I have used Legend and now using Edge...both are diffrent and both are good product. Atleast Good amaongs its competitor...Era or whatever you say. Would rate 4 out of 5. What i have shared you people is my personal experience with this product yours can be different.